Purchase it now on Kickstarter! 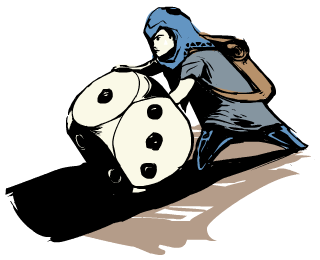 Card Rogue is a Kickstarter exclusive game, so make a pledge now to get your copy! 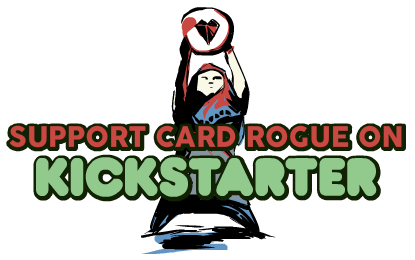 To make a pledge and receive a copy of Card Rogue for yourself, head on over to the Kickstarter page. 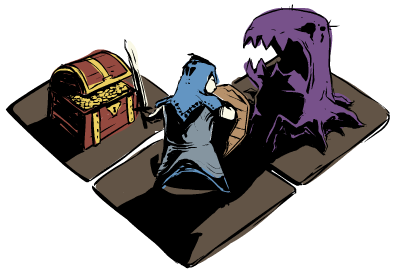 Card Rogue is a challenging tabletop roguelike game. 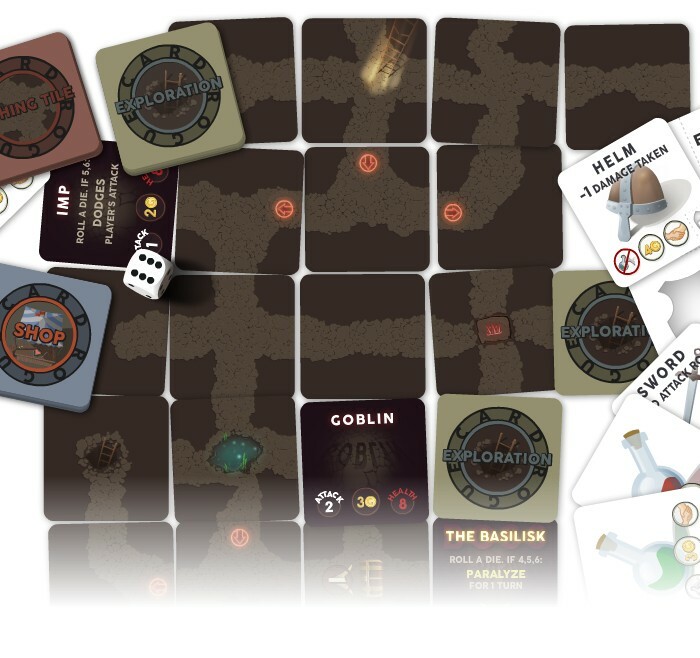 One to four players try to survive the mysteries of the dangerous catacombs. The game board is randomly created as the players make their way down uncertain paths. Thus, every game is different and requires a unique approach. To survive, a player must be lucky, adaptable, and tactical. Traps, enemies, loot, or fame are met around every corner. Players must sometimes ally together, but other times they must betray that trust. Only the strongest and smartest will make it out alive. Will you face your fears and enter the catacombs? Will you bring home stories of great deeds and moments of glory? Or will you fall to the darkness that awaits you below? Dice, player tokens, reference sheets, and everything else needed to start your epic journey! This game is supported by fans who appreciate a beautifully crafted game. 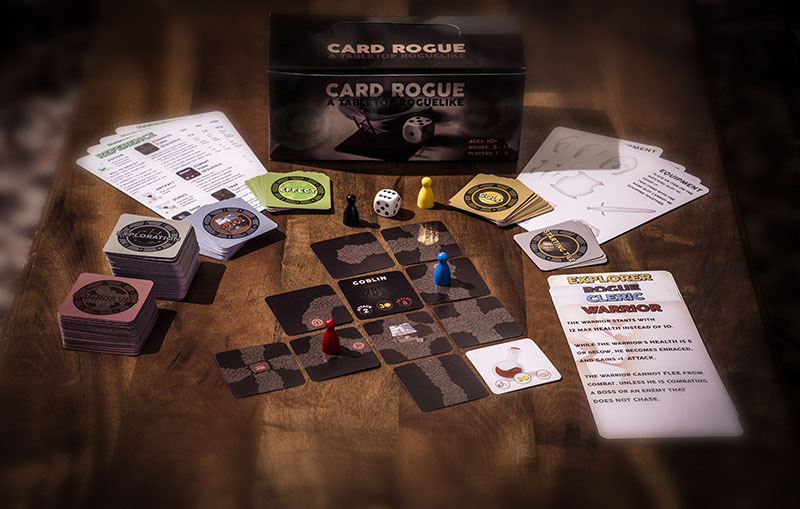 To reduce the manufacturing costs and make the game as affordable as possible, Card Rogue will be available exclusively on Kickstarter. To purchase the game and support future development, please visit the campaign on Kickstarter! Looking for the basic rules of the game? Check out the rulebook! Need to print the rulebook, score sheets, or other components? They can all be found at the Print page. You can also download a previous version of the rulebook in on the Print page. Join the community on the Forums.